The mission of this event is to promote a plant based diet for health and the environment in a compassionate way. While this is a vegan event, graphic images or activities will not be permitted, as we want to ensure that people are engaged and enthused, rather than upset by images or encounters. Our host, the NorthWest Federal Credit Union, is being very generous by allowing us the use of their facility for this inaugural event, and we want to ensure that it is successful from the number of people and the positive experience that they encounter so that we can continue in future years. They review every vendor and will have the ultimate authority to deem inappropriate vendors and/or material. Fairfax Veg Fest reserves the right to accept or decline any application at its discretion. Each vendor must submit an individual application and payment. There is no sharing of booths or exhibit space without prior approval, which can be obtained by emailing aplantbaseddiet.org@gmail.com. Vendors are responsible for the setup and breakdown of their booth/exhibit, and the removal of all materials. Setup begins at 8:00 a.m. on Sunday, April 14, 2019, and all vendors must be ready for operation by 9:30 a.m.
All vendors are encouraged to bring hand trucks or wagons to transport their exhibit materials (particularly heavy items) into the park as you cannot drive vehicles into the park. Vendors shall exhibit, sell, or give away only products, services and literature specified in the Vendor Application. All food sold or given away must be vegan. Vegan means no animal products, i.e., flesh, fat, broth, gelatin, egg, dairy, or honey. Because we seek to be a zero-waste event, all food-service disposable items such as plates, cups, and containers, must be compostable. No plastic-bottled water is allowed to be sold in the park. No balloons of any type are allowed in the park. Vendors must staff their booths/exhibits for the duration of the entire event – from 10:00 a.m. to 5:00 p.m. – out of courtesy to patrons, other vendors and organizers of the event. Failure to follow this condition will result in vendor being ineligible to participate in future Veg Fests. Each vendor will provide their own tent if desired (100 sq. ft. maximum — 10′ X 10′) and/or table (8 ft. maximum). All tents shall be weighted and not staked. This is an OUTDOOR event, so be prepared for the expected weather conditions. Tying together 10’ x 10’ tents to make a larger tent is not permitted. If you need a space larger than 10’X10′, please contact aplantbaseddiet.org@gmail.com. There may be an additional fee for a larger space. All tables, tablecloths, chairs and other staging materials must be provided by vendor. Photos and video of you and your vendor table may be used for future outreach, education, marketing, or other purposes. Animal organizations (or other types of organizations) that breed animals, or support the breeding of animals, are not permitted to participate in VegFest. Vendors must have signage clearly identifying the name of the vendor. Food vendors must have signage clearly listing food offerings and prices. All food/restaurant vendors are encouraged (but not required) to give out free samples of their food products. All food vendors are required to provide a Certificate of Liability Insurance of at least $1Million with the following Named Insured Info on it: aPlantBasedDiet.org, 11665 Collier Blvd., Suite 580, Naples, FL 34116. All Food Vendors will be also be required to obtain and pay for ( if necessary ) a Temporary Food Establishment Permit from Fairfax County. Please click HERE to view and download the permit application. Once the permit has been obtained please email a copy to aPlantBasedDiet.org@gmail.com All Temporary Food Establishment Permits must be received by us no later than March 31st, 2019. Although not required, it is highly recommended that all other vendors carry similar liability insurance as mentioned above. Vendors agree to make no claim for any reason against event coordinators or the Fairfax Veg Fest for theft, damage, or destruction of goods, or for injury to themselves, employees, volunteers, or visitors incurred at the event. 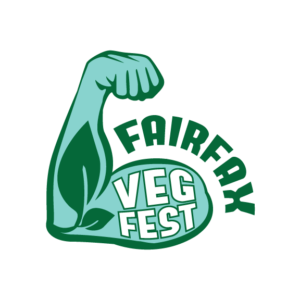 Should any contingency interrupt or prevent the holding of the Fairfax Veg Fest, including, but not limited to inclement weather, war, terrorism, or lockouts, the event coordinators and Fairfax Veg Fest shall in no way be liable to vendors. Should any contingency prohibit the event from taking place as scheduled, event coordinators will make their best effort to reschedule the event on a weekend day as near to the original date as possible, but there is no guarantee that the fest will be rescheduled.